Pass revenue for Peak Resorts is up 20% year over year. It’s a great way for us to start 2019, but we do have to go back a bit to explain the title of this post and the value and significance of relationships. 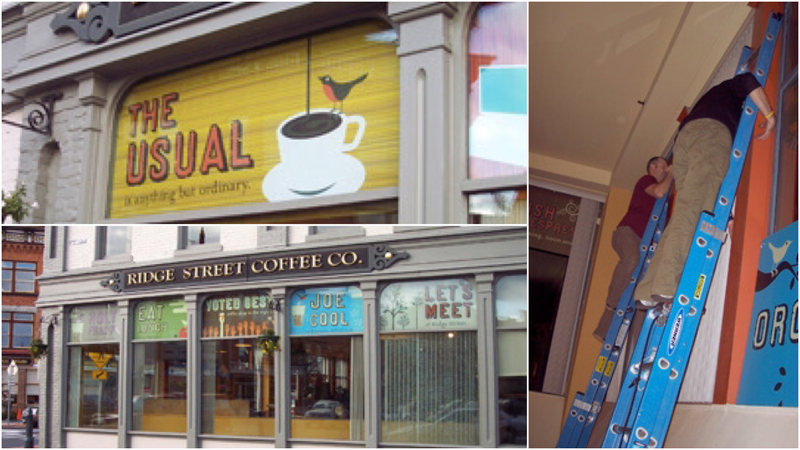 It was the spring of 2004 and we were waiting to pitch the yet-to-be-opened Ridge Street Coffee Company. I was pacing on the sidewalk outside, leafing through portfolio samples, wondering if it was a waste of time. A coffee shop wasn’t going to be a flagship client, after all. But, it was in a high-profile location, and that meant everyone would see our work. It turned out to be. I pitched in shirtsleeves and soon we were creating a retail environment and ad campaigns for the café. It became a favorite among locals and one regular in particular asked who did their marketing. So it was that we met John Duncan. John was an outdoor-nut-turned-retailer operating several outdoor gear shops (Syd & Dusty’s) in resort towns like Stratton, VT and Lake George, NY. He also owned a rafting outfit on the Sacandaga River. 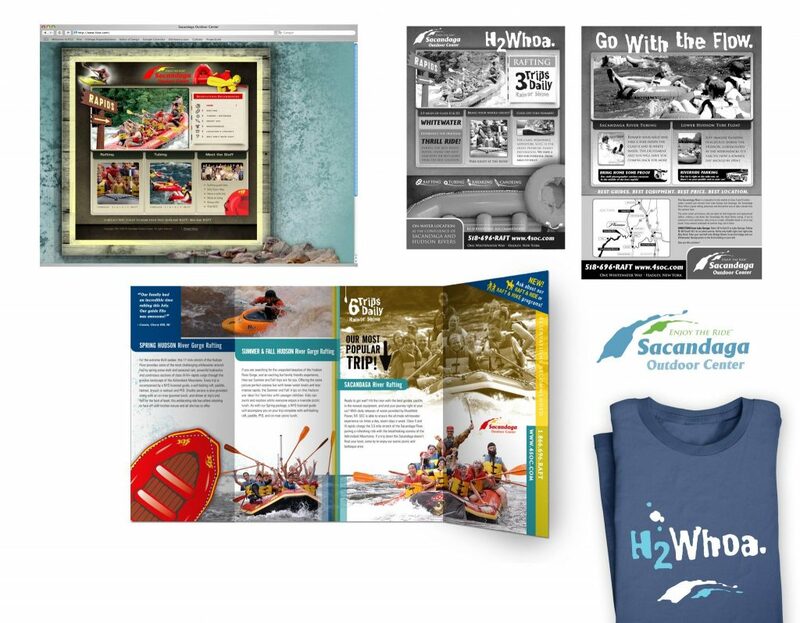 John hired Trampoline to rebrand the Sacandaga Outdoor Center, and create a series of ads, brochures and a website to capture the eyes of Adirondack visitors. After several seasons of summertime support, and steady growth of tourist paddlers, John took Trampoline with him to his winter gig at Alta Ski Resort in Utah. Derek is a regular in the Wasatch Range, so the opportunity to create materials for Alta was a dream come true. John wanted merchandise that was unique and distinct from the offerings at nearby resorts and Trampoline did not disappoint. 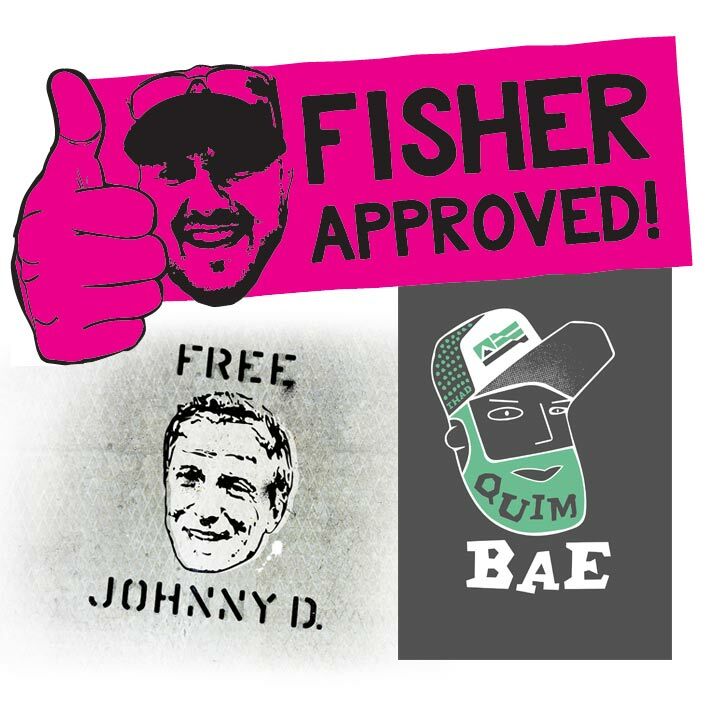 We still tell the story of the phone call to notify us that an entire order of shirts had sold out in 45 minutes. 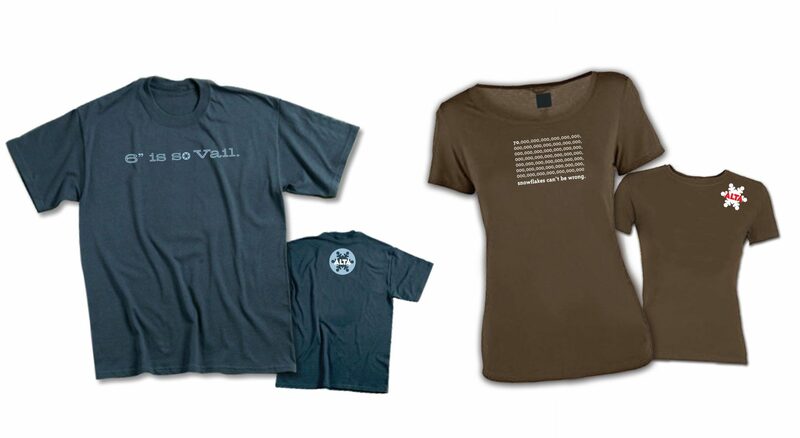 The shirts read: 6” is so Vail. On-property spending improved so much at Alta that John Duncan mentioned us to his childhood friend, Paul Slutsky. 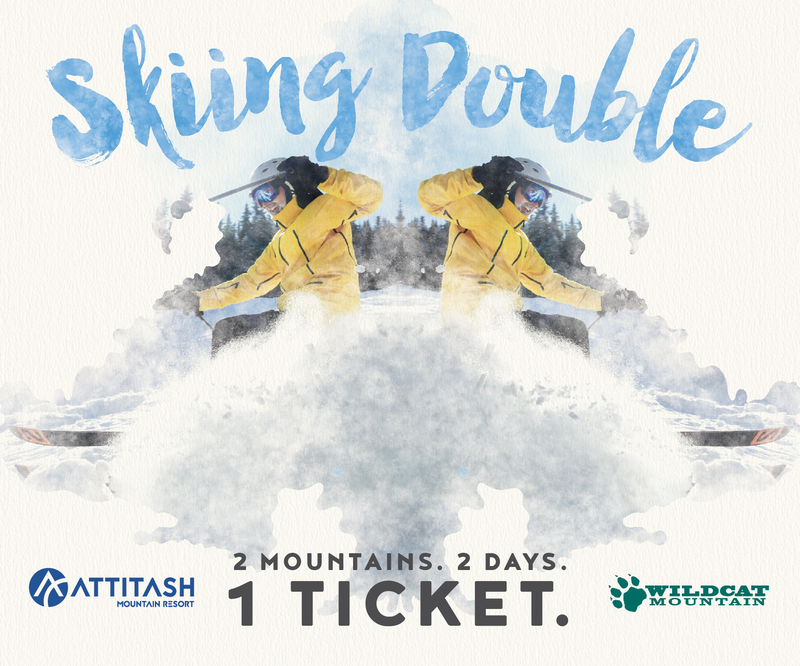 The Slutsky family owned and operated Hunter Mountain in the Catskills of NY for generations. Hunter had a bit of a reputation as a rough mountain for hard-charging skiers and even harder partiers. 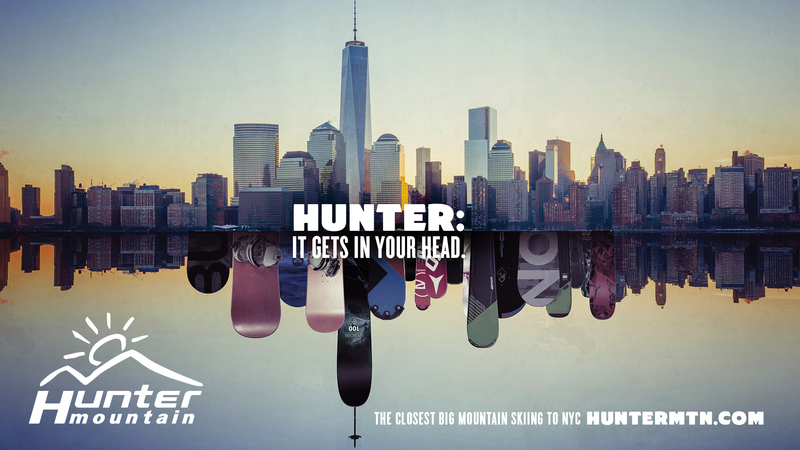 Gerry Tchinkel, Hunter’s Director of Marketing and Sales, took a chance on Trampoline to soften that image, and make Hunter the destination of choice for skiers in the NYC Metro market. For several seasons we tailored the Hunter Mountain image to a family-friendly, four-season destination. 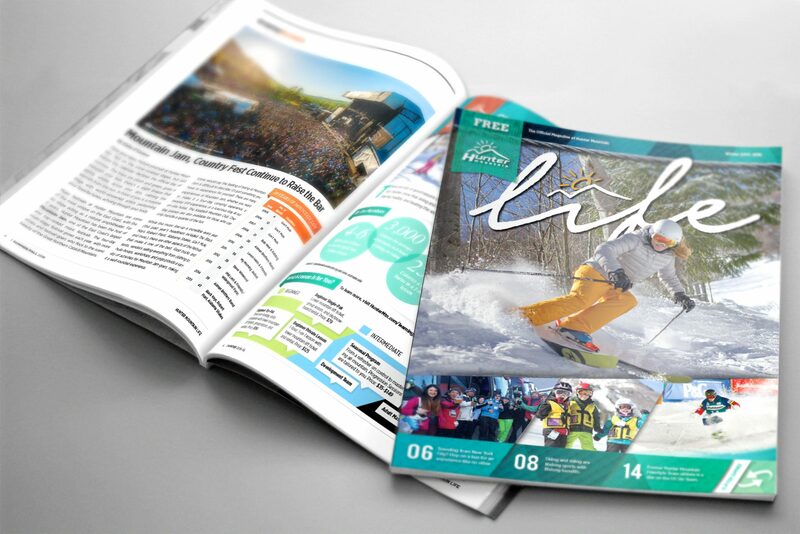 In addition to their snowmaking prowess, we promoted weddings, summertime concerts, zip lines, and off-road challenges and watched awareness grow. Gross sales steadily improved 15% annually. 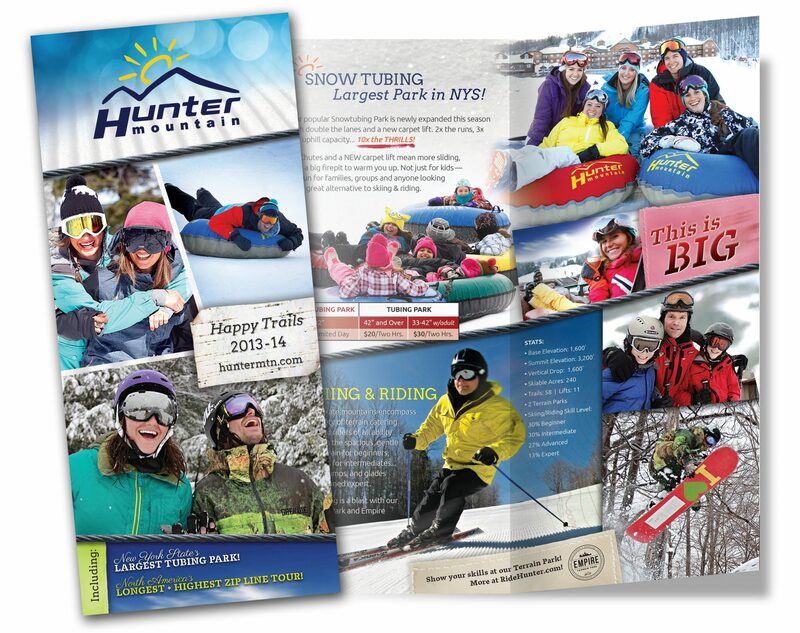 The Hunter: It Gets in Your Head campaign cemented the resort as New York’s favorite ski mountain, and won Best-in-Show at the Capital Region Ad Federation’s ADDY Awards, and was also awarded a NYSTIA Award of Excellence. Hunter looked the part and was still rising in popularity when it was purchased by Peak Resorts in 2016. 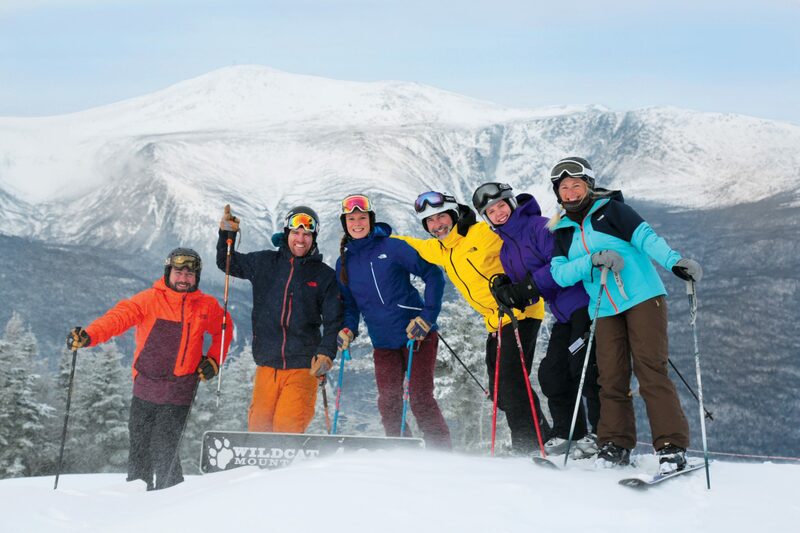 Peak kept Trampoline on as a vendor, and we met Greg Fisher, the Northeast Director of Marketing for Peak Resorts. He was carefully vetting his team, assessing needs, and who best to tell the stories of seven different properties. 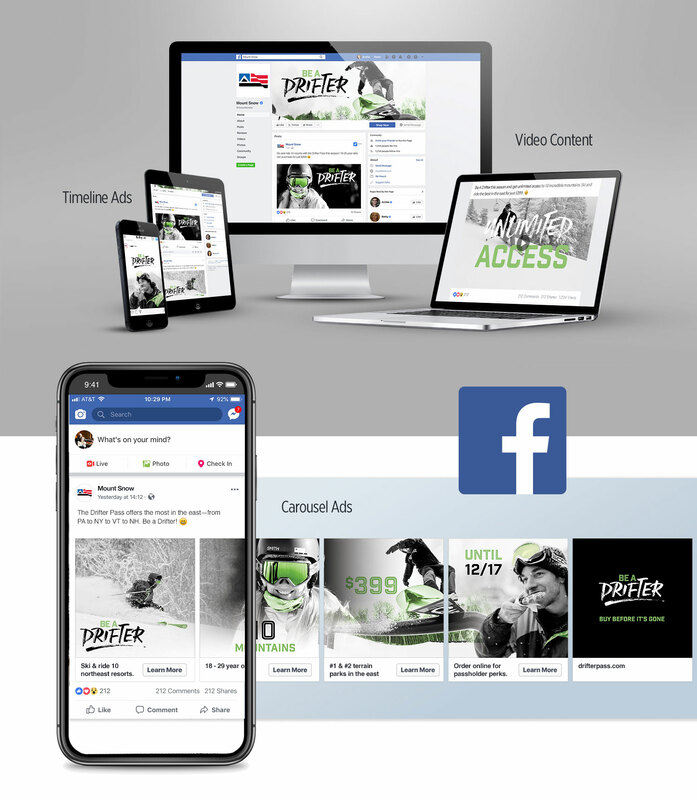 Over the past three years, Trampoline has played an increasingly important role in support of marketing teams at Peak resorts in New York, Pennsylvania, Vermont, and New Hampshire. 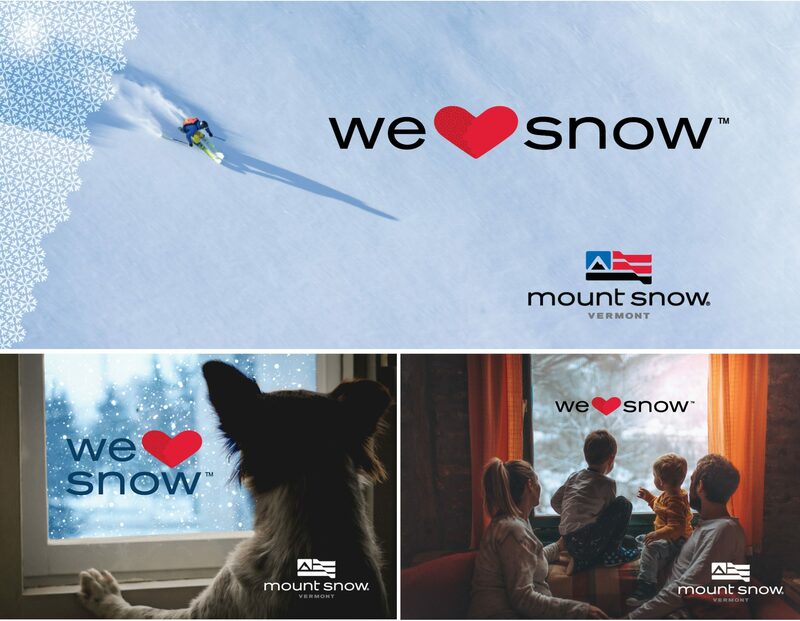 Four of the seven mountains have been rebranded and received a complete communications overhaul, with positioning statements, ad campaigns, collateral, broadcast, outdoor and social impressions contributing to ticket sales. Peak Properties are well-represented in the New England landscape, and, with the acquisition of three new mountains in Pennsylvania, opportunities to communicate with skiers in the Mid Atlantic states will create a sales funnel that looks a lot like a Black Diamond. In 2018 Trampoline targeted the coveted 18-29 year-old demo specifically. The Drifter campaign resulted in a 27% jump in sales since last year. Traffic on Peak sites spiked on Cyber Monday, thanks—in part—to a carefully choreographed social onslaught of content. Measured against the previous season, 2018’s hits were five times the amount of last holiday season. 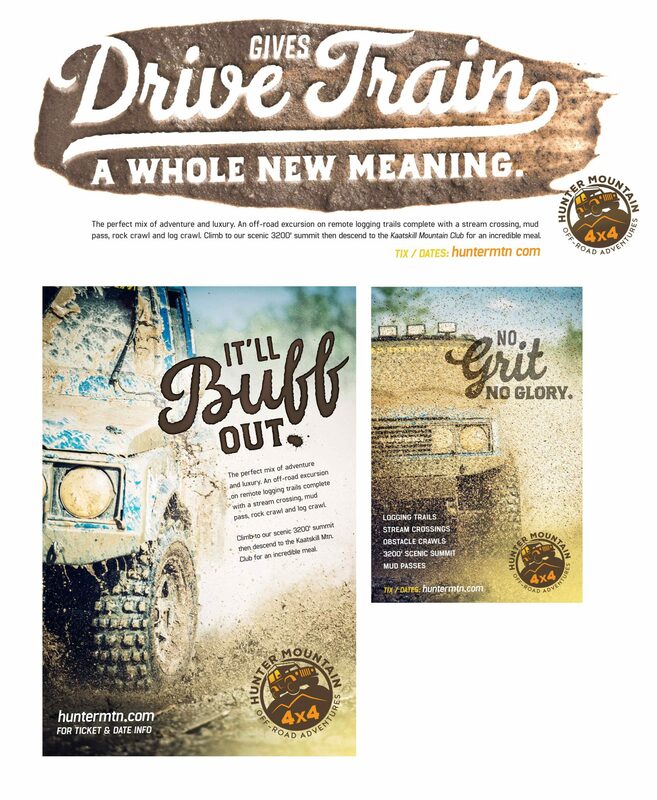 Incredible outcomes—the result of consistent messaging and repeat impressions. Trampoline has worked hard with the team at Peak to position each property as a guaranteed good time, and cross-promote their properties whenever possible. After all, a rising slide lifts all coats, or something like that. Numbers are the proof of a successful campaign, examined afterward in a black and white comparison of efficacy, a post-mortem of sorts. Measurements help hold marketers accountable, and we love to move the needle on market share. The results are only half of the story, though. The success of any campaign is built on partnerships, suggestions, referrals, and risks. I doubt that we could have planned for things to progress this way, even though there were strategies and growth plans in place. Much of the success was due to the contributions of partners outside the agency. Katie O’Connor, Jack Fagone, Thad Quimby, Greg, Gerry, John—pros that we’ve worked and played with. Outdoor adventure lovers who set goals and are willing to let us do what we do best to accomplish them.